Pilates Pro is an online portal for Pilates instructors. This symbol is based on Pilates’ concept of the body’s “core”. Also, it reflects the idea of balance and the structure of striated muscle. 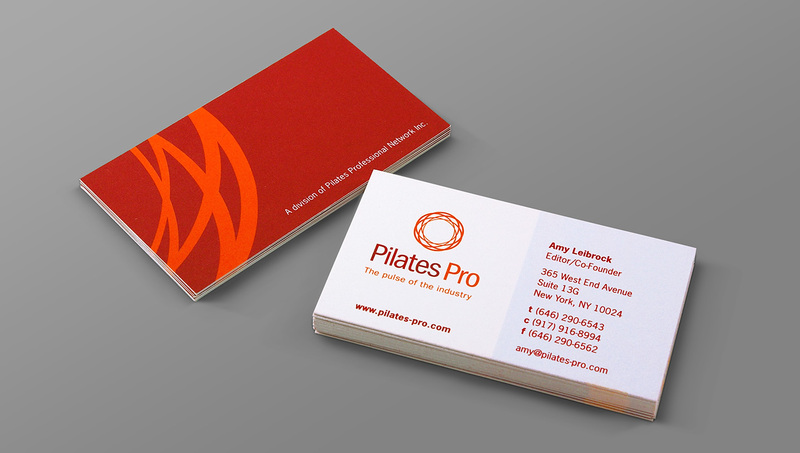 The second image shows the business cards with a detail of the symbol used on the back in the bold main colors.